She wasn’t mad. As a writer, I now understand the intensity. She was working her story into a novel of the same title. And when that novel was optioned by Harper & Row—and then dropped simply because it was about a single father with two peculiar children in the 1920s and ’30s, and To Kill a Mockingbird had occupied that territory, I believe something in my mother died. When I first read The Trouble with the Truth in the 1970s, I loved it. The writing was gorgeous, but I thought it needed some work. I wanted to talk about it, but Edna wouldn’t discuss it. However, now it was 2013, Edna was dead, she’d left her manuscripts to me, and I was an unemployed book editor. I pulled the crushed brown box out of the bowels of my closet and I’d barely begun to read the still-gorgeous prose on the old typewritten pages, when I realized this was a complete waste of energy. I was going to work on it, so why not read as I typed? And as soon as I began to do that, I realized there was a more efficient way: read as I edited and typed. And as soon as I began to see the timeline and fact glitches and all the undeveloped emotional underpinnings of the story, I decided to read as I doctored, typed, and yelled at Edna. As an editor, one virtually views a work from inside the author’s head. So as I read the 1957-59 manuscript, I, now old enough to be my mother’s mother at the time, was living through her 36 to 38-year-old mind. But there was way more. As a book editor/doctor, I was completely involved in the mechanics of correcting the problems, but I was also my mother’s daughter, experiencing a mind-blowing expansion of understanding and compassion. 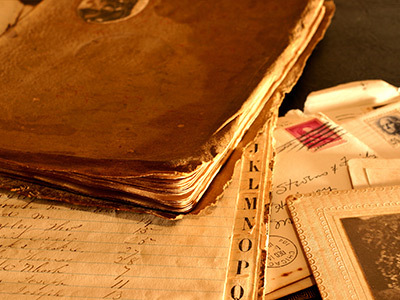 Although the book is fiction, there are autobiographical aspects. And it was through the undeveloped parts that I got to know my mother more intimately than I believed possible. Through Edna’s often unacknowledged subtext and all the unresolved areas, through aspects that were seeded but ungerminated, I got to know what she was afraid to acknowledge to herself: shame, jealousy, and a most complicated embarrassment about the fact that she had faith. I fixed, I doctored, and, I like to believe, healed. And I felt good. But I also was afraid. What if Edna was displeased? Yes, she’s dead, but I’ve had many experiences of her presence; was it all right to change her words, reveal emotions that I believed she’d chosen to ignore—and who was I to make such a judgment? Of all my revisions, the most troubling to me was a significant change to the ending. Edna’s conclusion about the finality of death seemed to contradict the profound truths that preceded it as well as the afterthoughts that followed; but would she approve of the revised conclusion: that death is not necessarily the end? It wasn’t until months after finishing the project that I realized that Edna not only condoned the change but had rewritten the ending with her own actions: Shortly after her death, a clear glass marble (we each carried one in our change purses to signify the other) dropped out of nowhere—it wasn’t there and then it was—turning my life upside down and decimating any embarrassment I might have held from my agnostic/atheist upbringing about believing there is more existence than we can see or comprehend. I’m glad that my editor’s head prevailed. The book is multi-leveled, fully alive, and best of all, published. I trust Edna Robinson is enjoying it. You can read the complete story of the appearance of the marble and see a photo of Betsy and Edna Robinson at http://www.betsyrobinson-writer.com/marbles_64181.htm. Set in the 1930s, this poignant, funny, and utterly original novel tells the story of one lost girl’s struggle for truth, identity, and understanding amidst her family’s nomadic, unconventional lifestyle.What’s the right way to behave, to think, to feel—if you’re always the new girl? How do you navigate life when you’re continually on the move? Do you lie? How do you even know if you’re lying? What’s the truth anyway? It’s 1928 and nine-year-old Lucresse Briard is trying to make sense of life and the jumbled, often challenging family it’s handed her. As Lucresse advances through childhood to adolescence, she goes from telling wild lies for attention to desperately seeking the truth of who she is as a sophistication-craving teenager in the 1930s. 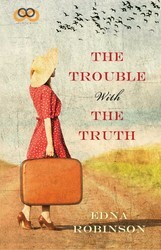 Told from Lucresse’s perspective as a grown woman, The Trouble with the Truth transcends its time in the late 1920s and ’30s, and weaves the story we all live of struggling to learn who we are and the truth behind this human journey. Edna Robinson (1921–1990) was an author and copywriter, who wrote the famous Oreo cookie lyrics “A kid’ll eat the middle of an Oreo first” and such lines as “Navigators of the world since it was flat.” Her short story, The Trouble with the Truth, was first published in the 1959 edition of the New World Writing series and selected as one of the “most exciting and original” stories of its time by the editors. The story has now been expanded into a novel of the same name, edited by her daughter Betsy. For more information, go to BetsyRobinson-writer.com.